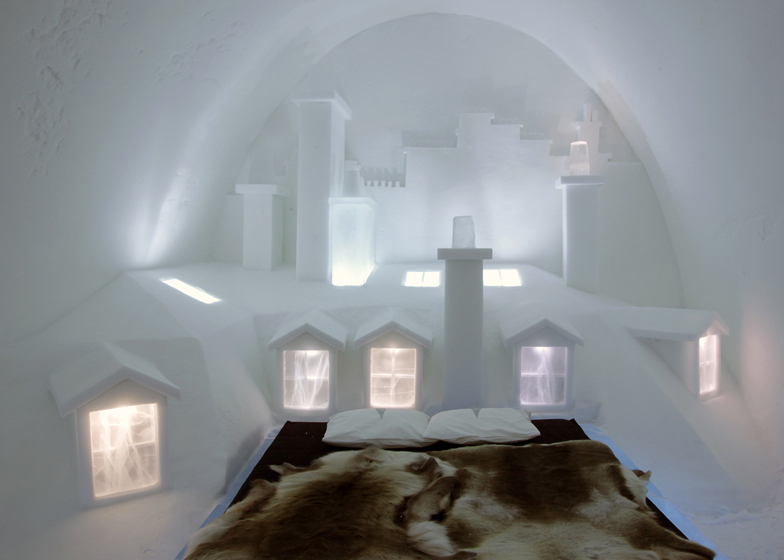 One of the suites at this year's Icehotel in Jukkasjärvi, Sweden, features blocks of ice carved into the shape of Parisian rooftops and chimney pots by French designers Les Ateliers de Germaine (+ slideshow). 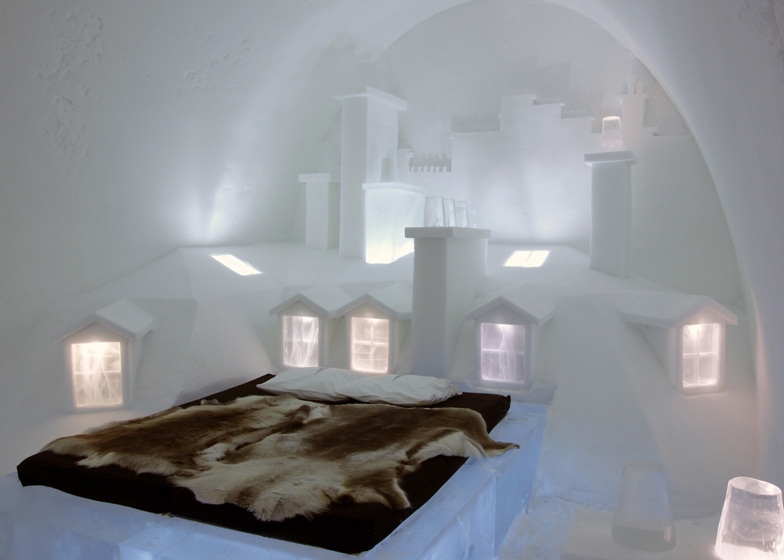 Located 200 kilometres north of the Arctic Circle, the Icehotel is the largest hotel built of snow and ice in the world. 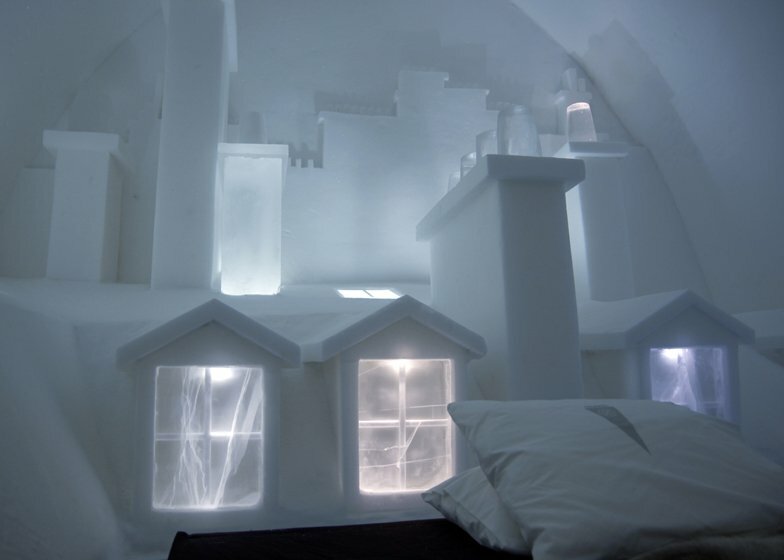 It is constructed afresh every year and various artists are selected to create different themed rooms, allowing visitors to spend the night in sub-zero temperatures. Luc Voisin and Mathieu Brison of Paris-based Les Ateliers de Germaine designed their space to represent "a postcard from France". The room is based on Montmartre, one of Paris' most famous areas. It features a carved outline of the Sacré-Cœur basilica at one end, as well as a series of rooftops with illuminated dormer windows and chunky chimney pots. "Paris seemed to be the best example of a French city known all over the world," Voisin told Dezeen. "We thought about the way Paris is showed in cinema and literature. Because everything is a bit crooked in the room it looks like cartoon scenery." 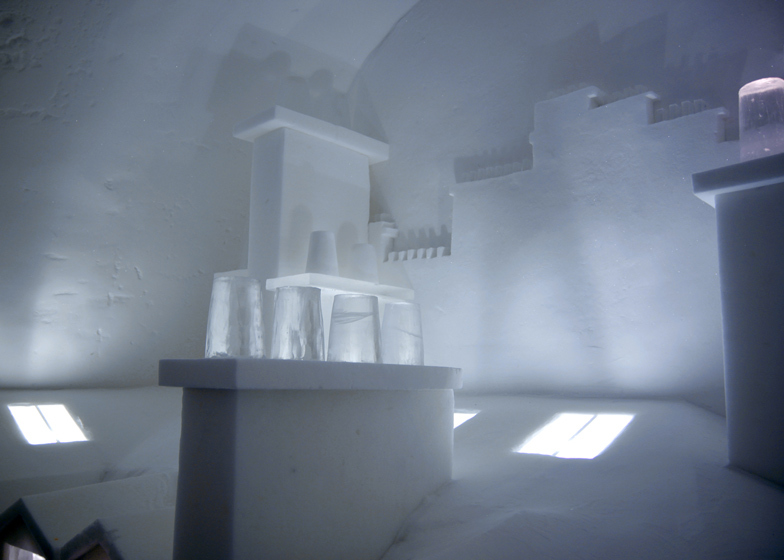 Voisin said the process of creating the sculptures was challenging because of the extreme weather conditions: "It is very interesting because the texture of the snow and ice changes so much depending on the temperature." "From one day to another you might have to adjust your gesture if it is ten degrees less," he explained. "If it is warmer, the snow is wet and sticky, if it is very cold, the ice cracks and is very fragile." 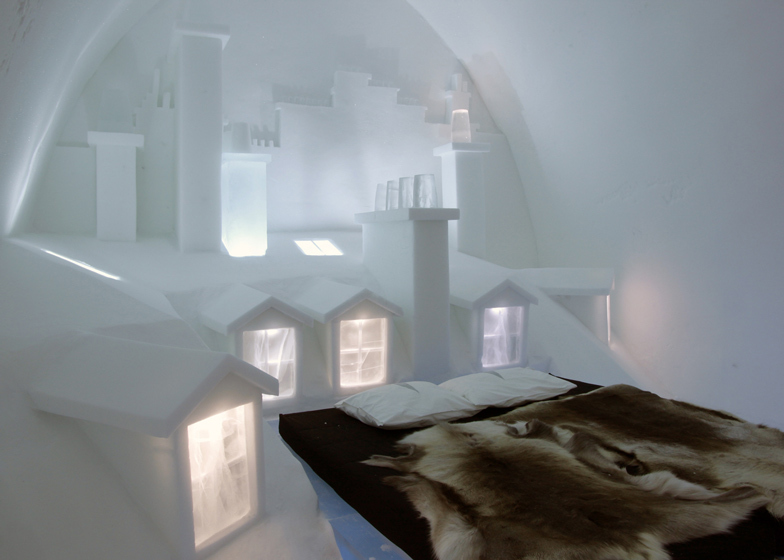 This year is the twenty-fourth edition of the Icehotel. Other suites created this year include a room modelled on a laboratory for a crazy scientist by Swedish designers Pinpin Studio. Photography is by the designers. Magical city, legendary city, romantic city, poetic city, symbolic city, Paris will always be Paris. The cinema, literature and music have tried to capture the atmosphere and essence of Paris: it seems like it is an endless source of inspiration for artists and keeps attracting billions of tourists from all over the world. Climbing to the top of the Eiffel Tower, walking on the Champs Elysées, visiting the Musée du Louvre, shopping in Le Marais, wandering along the River Seine or simply sipping coffee at a café, everyone can live and explore the city as they see fit, like adventurers. More than a design, more than an architecture, it's a trip to the heart of one of the historical districts that we offer. You can feel the people living all around you, you might even see them if you're curiously peeking out the window. You are part of the city, you are the city. Suspended between heaven and earth, far from the chaos of the city, rocked to sleep between dormer windows and chimneys, overlooking the city skyline and its countless shining windows, this room will take you to Montmartre's rooftops, as Satine and Christian in Baz Luhrmann's Moulin Rouge.